Synopsis (from GR): Marianne Dashwood wears her heart on her sleeve, and when she falls in love with the dashing but unsuitable John Willoughby she ignores her sister Elinor's warning that her impulsive behaviour leaves her open to gossip and innuendo. Meanwhile Elinor, always sensitive to social convention, is struggling to conceal her own romantic disappointment, even from those closest to her. Through their parallel experience of love—and its threatened loss—the sisters learn that sense must mix with sensibility if they are to find personal happiness in a society where status and money govern the rules of love. 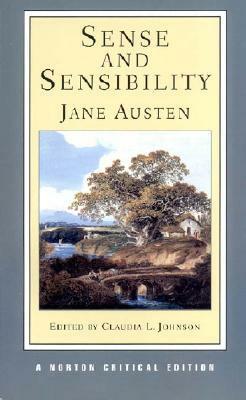 I first read Sense and Sensibility when I was eleven. My sister had introduced me to Pride and Prejudice and I decided to read all of her works. While I devoured them all, I think I had been expecting Austen's works to all be as light, bright and sparkling as Pride and Prejudice is, and it wasn't until I was older that I was able to appreciate her other works for what they are. I think I struggled with Sense and Sensibility in that I felt like Marianne had settled for second-best (thereby failing to understand Marianne's character growth) and I didn't understand why Elinor reacted the way she did in regards to Lucy and Edward. I have since re-read Sense and Sensibility multiple times (I try to reread at least one of Austen's works each year), and my understanding of has changed considerably. While it is not my favourite Austen (if I had to rank Austen's work in order of favourites, it would be fifth on the list), it is still an incredibly enjoyable read. Aside from loving Austen and thinking it pitiful I've only reread Emma so far this year, I'm auditioning for a stage adaptation of Sense and Sensibility, and basically used my audition as an excuse to reread Sense and Sensibility and binge-watch three different adaptations (the 1981, 1995 and 2008 adaptations). It has been far too long since my last reread of Sense and Sensibility, and it kind of felt like returning home or reuniting with an old friend. As a book I often reread, there isn't much I've forgotten, plot-wise. There is so much to appreciate - Austen's use of irony and wit, the Dashwood sisters (including Margaret! ), the downright villainy of Fanny Dashwood and the selfishness of her husband. No matter how many times I read Sense and Sensibility, I will never understand why it was perfectly acceptable for Robert to marry Lucy Steele, but Edward gets disowned for honouring his engagement with her. The Ferrars are a confusing bunch, in more ways than one. 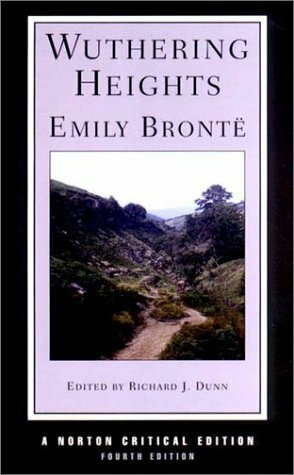 I found that my feelings about Willoughby have become more mixed with this reread - it's easy to cast him as a Wickham-type character and forget that he truly did love Marianne. It is hard for me to feel sorry for him though - getting a teenage girl pregnant and ignoring her existence; initially pursuing Marianne only for a bit of fun and to flatter his ego; marrying a woman he didn't love so he could live in the style he was accustomed to, only to wish his wife dead to he could marry Marianne. Willoughby is his own worst enemy, and a lot of his problems come from the fact that he wishes to live a life he cannot truly afford. It was easy to see Willoughby as a romantic interest, rather than just a villain this time around. Elinor has captivated me and is slowly climbing up my list of favourite Austen heroines. I love her quiet strength, her sense of propriety, and her sense of duty towards her family. I also love that Sense and Sensibility is also a story of Elinor & Marianne's love for one another - their sisterhood and friendship is so important to each other's growth and development, and I cannot help but appreciate the importance that Austen has placed on their relationship. It is arguably the most important relationship in the novel - I see Sense and Sensibility as a novel about familial relationships rather than a romance novel. Absolutely! Austen's an author whose works can be reread over and over again, and you'll still be picking up new details each and every time. It never ceases to amaze me how much effort she put into both writing and editing her novels. Every detail is put in for a reason (and if you have the Norton Critical Edition like me, they make notes of all the revisions she made between editions, which is quite interesting). Austen was a true writer, able to capture the mannerisms and mores of her society and creating characters who have their own sets of values and beliefs reacting to that society. Minor and seemingly insignificant details are more important than the reader initially realises - indeed, one may argue that Austen's novels are about the insignificant, the mundane, the day-to-day life of her society; which really makes it so remarkable that she's manages to make the insignificant so interesting.